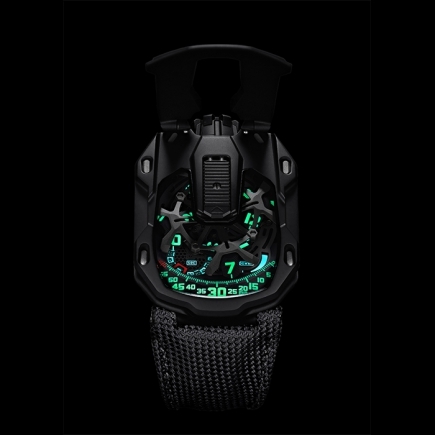 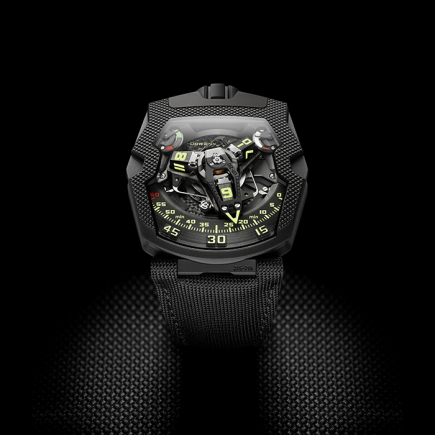 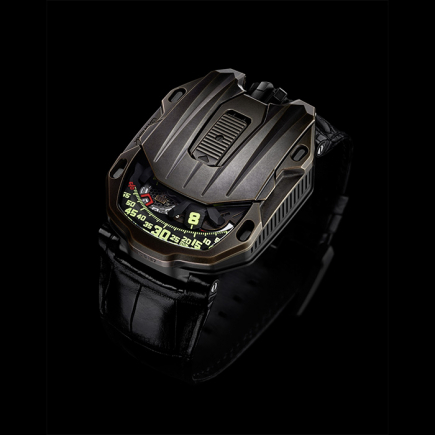 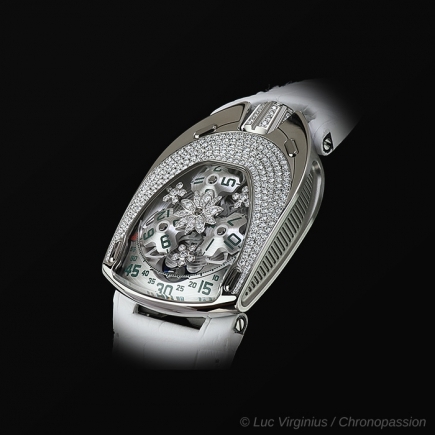 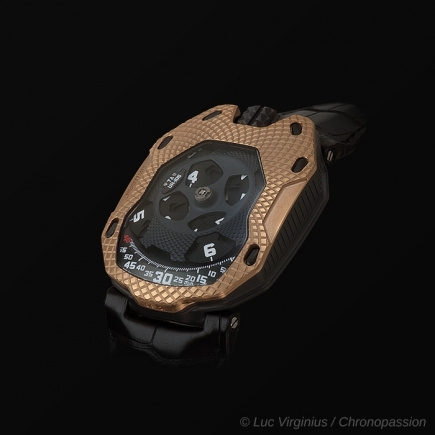 urwerk | 144'000 € Tax inc. 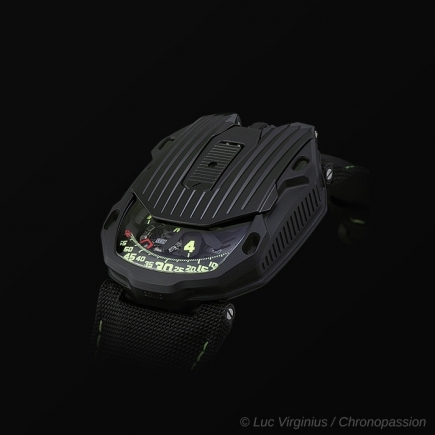 In the URWERK tradition, none of the indications of this UR-111C watch are conventional: The minutes are shown in two different ways - linearly for eyes pleasure (this new creation is a descendent of the UR-CC1 King Cobra watch)and digitally for precision. 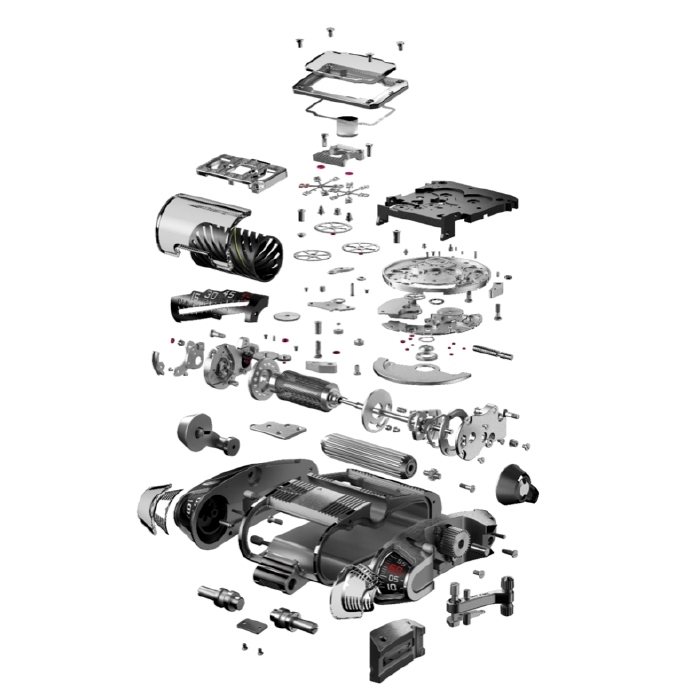 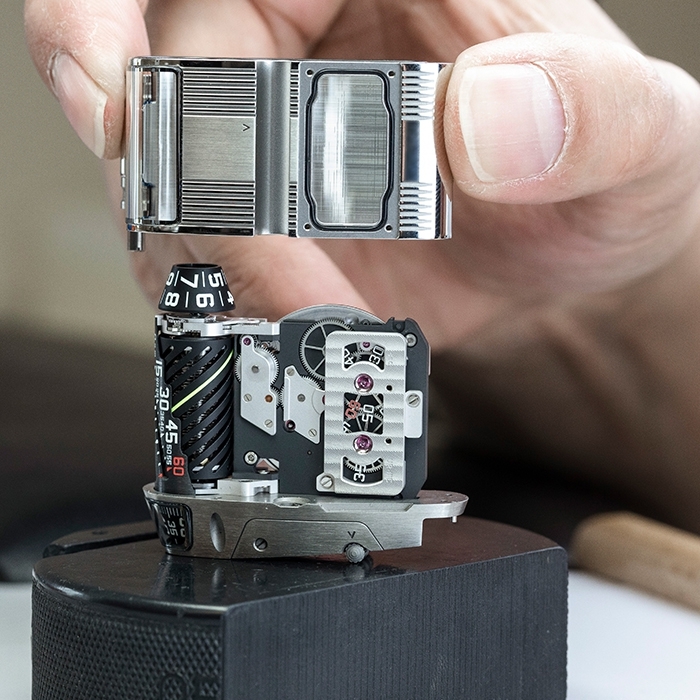 Never has a roller on the case performed the functions of the crown, nor have the running seconds meandered across a cluster of optical fibers. 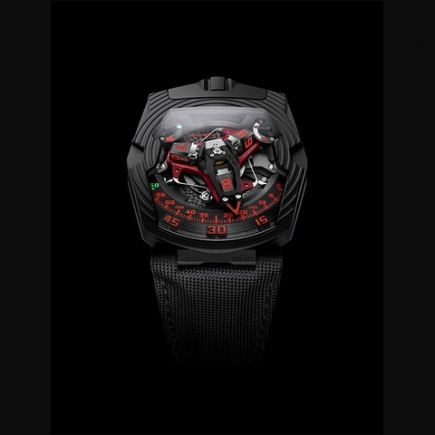 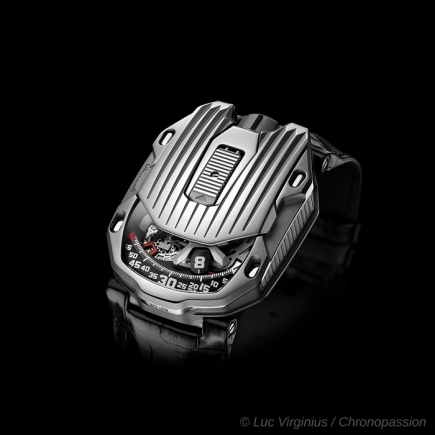 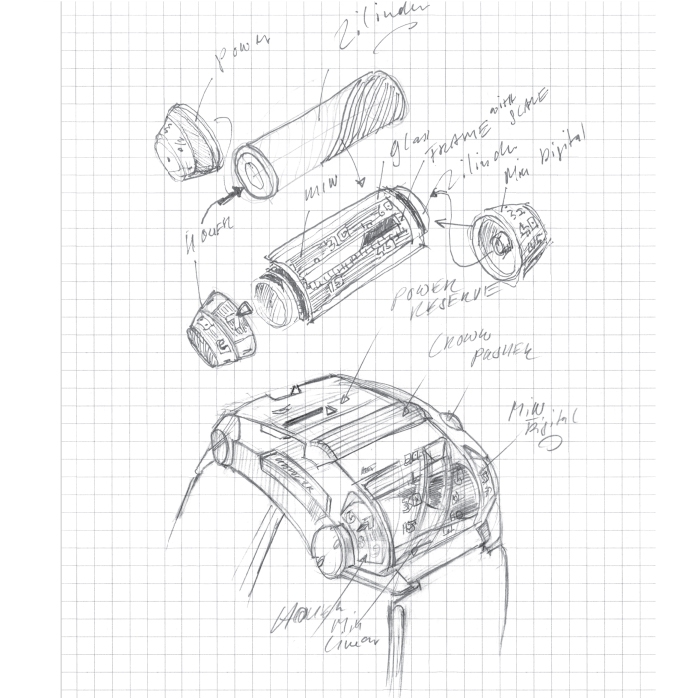 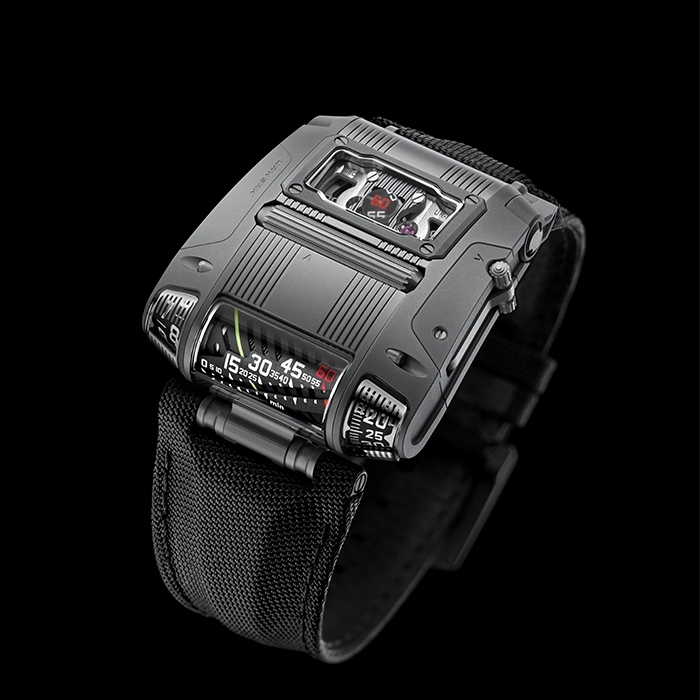 Nor would it be an authentic URWERK watch if its case didn’t look as if it had been designed by a Sci-fi passionate. 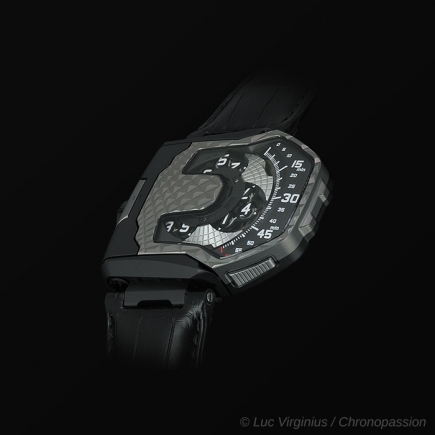 Gunmetal is the one on this page.